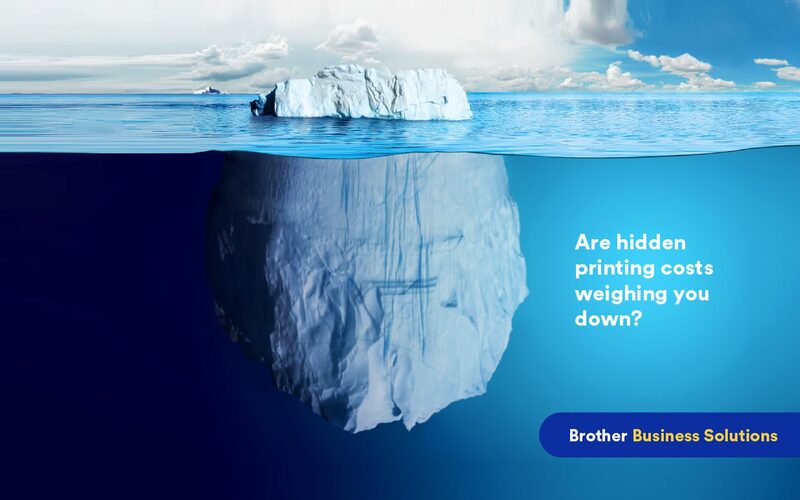 Are hidden printing costs weighing you down? Other than a high initial machine price and costly supplies, unreliability and poor warranty support can significantly add to your running costs. Thankfully, Brother knows how to keep your total cost of ownership low. Many companies are looking for ways to lowering printing costs to reduce business operating costs. More often than not, when companies make printer purchases, they neglected the total cost of ownership (TCO). TCO refers to the cost of the purchased product across its entire lifecycle. Therefore when making purchase decisions, companies not only need to consider the cost of the purchase, but also the expenses incurred through its use, such as downtime and consumables. In the case of printers, it will be the cost of the purchase of the printer, cost of toner cartridges and repairs. Printers are durable goods, which mean products that are not simply purchased and then immediately consumed, on the contrary, to be used for several years. This makes TCO an important factor to consider when purchase decisions for a printer. Next important factor to consider is cost per page cost. Essentially cost per page is the printing cost per unit. The cost per page for an individual toner cartridge is calculated using the page yield of that cartridge. Page yield refers to the number of pages a toner cartridge can print before it runs out. Therefore to calculate cost per page, divide the cost of the toner cartridge by page yield. Brother genuine toner cartridges are great for value. Our high yield and super high yield laser printer toner cartridges produce rich, clear output and last longer to handle your higher volume printing demands. High-yield toner cartridges can print up to 8,000 pages and super high-yield toner cartridges can print up to 12,000 pages. Specifically designed to work with Brother laser printers and all-in-one, these cost-effective, easy-to-install laser toner cartridges can lower the total cost of ownership of your printer and save you money. By using Brother genuine super high-yield toner cartridges, businesses now spend less time replacing toner cartridges; which will help to reduce operating costs. You can count on our outstanding customer support anytime. Choose to contact us by email, phone or live chat, we are dedicated to provide you with free support for the life of your printer. Brother at your side is not just our slogan, it is our promise to our customers. Previous articleMade for your enterprise. Built for performance.